This pool table slate was damaged due to disassembly inexperience. This 3/4″ piece of slate had slate screw holes that were covered with putty and the person who disassembled the pool table years ago tried to remove the slate from the table with out removing the (hidden) screws. The slate cracked. We were able to reassemble this pool table after it had been sitting for years in a garage. We repaired the slate and now the table plays level and true. Buying a Pool Table from Costco? Just recalled that, there are also synthetic slates being produced, which resin based, will probably become the industry standard by the middle of the 21st Century. Hardnesses and texturing are all engineered in a labratory, then mass produced in factories. No imperfections to be concerned about. No shifts in densities as slate was once pre-historic swampland and muddy marshes. Combination of synthetic product and a known fabric weight for the cover, say 21 ounces per yard squared, will yield a desired or tunable billiard surface performance. All the Mechanical Engineering majors will like reading about this. Break out the slide rules! We used those things in the days before handheld calculators. We even wrote with pencils. I find it a bit odd that people make too much of slate types and thicknesses. These slates are not rated for structural use, nor is there any Janka-type scale of labratory testing. It is my opinion that the Chinese Silorian slates being 300Million-to-400Million years old are equally as good in quality and texture as other slates from comparable earth latitudes eithe north or south. Having been in the sand and gravel business for 44 years, I continue to believe that slate if too hard will be brittle; If too soft will suffer warpage deformities. Thinking a known standard of 1.00 inches touted as acceptable, how does one have the delicate sensitivities to detect a 0.75 inch slate in use? Why not ramp it up to 1.25 inches or go overboard to 12.00 inches in thickness? 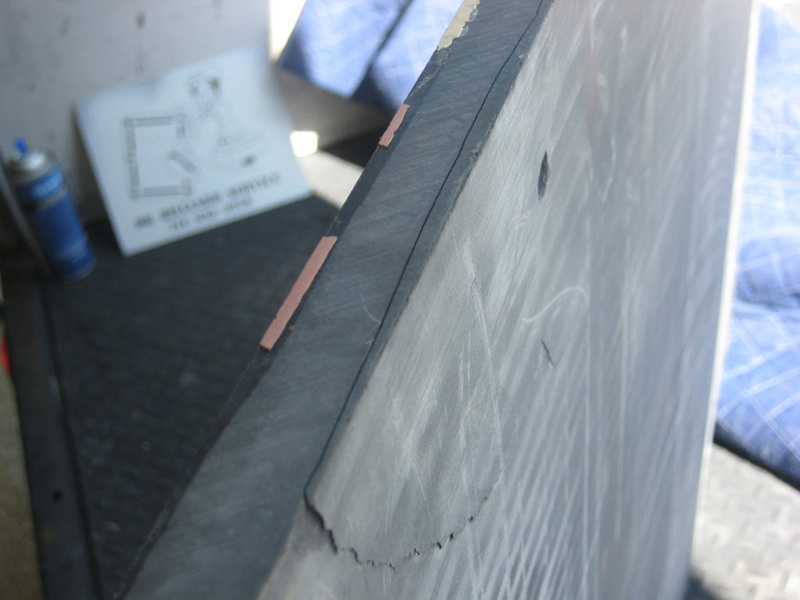 Any abuse, to any thickness of slate, may possibly result in damaging the slate in one way or another. As far as wood selections are concerned, again the latitude of earth either north or south will yield similar product density per species as labratory testing substantiates with the Janka Scale for Wood Hardness. In my opinion, wood is a living, breathing material, even post harvesting. I believe that woods in general, prefer a light, thin sealant, followed by good old fashioned furniture paste wax applications and yes.., hand buffing. The more you buff, the warmer and nicer the wood looks. No free rides, as you will constantly be maintaining the wood comprising the billiard table, or any other wood product, for optimum life span and servicability. I believe that what I am reaching for over here, is conveying that it requires Common Sense, Dedication to Maintain, which will render the maximum amount of personal satisfaction. In the “Good Old Days”, we simply called it: Being a Responsible and Level Headed person.